I have been teaching regularly for the past 10 years. It is a joy for me to convey the knowledge attained from 33 years of studies and professional singing to future generations. I provide students with tools that encourage an independent method of working. That means that I am a source of information and at the same time a mirror and mentor for my students. I have myself studied with Elisabeth Schwartzkopf, Nicolai Gedda, Geoffrey Parsons, Ingvar Wixell, Erik Saedén and Torbjörn Lilliequist. That together with my own artistic and pedagogic experience gives me a strong foundation when teaching. I have a comprehensive knowledge of opera, concert and oratorio repertoire, including different styles, epochs and musical forms such as arias, recitative, ensemble, and Lied. This gives my students access to an extensive source of information to learn from. The most important aspect of teaching is creating an open dialogue with my students. It is only with trust and confidence in one another that a truly constructive and successful working collaboration can ensue. I am presently employed at Stockholm Operastudio/Kulturama and regularly guest teacher at Birkagårdens folkhögskola. I give lessons in vocal technique, recitative, interpretation and vocal acting. I have also staged several productions at these schools. 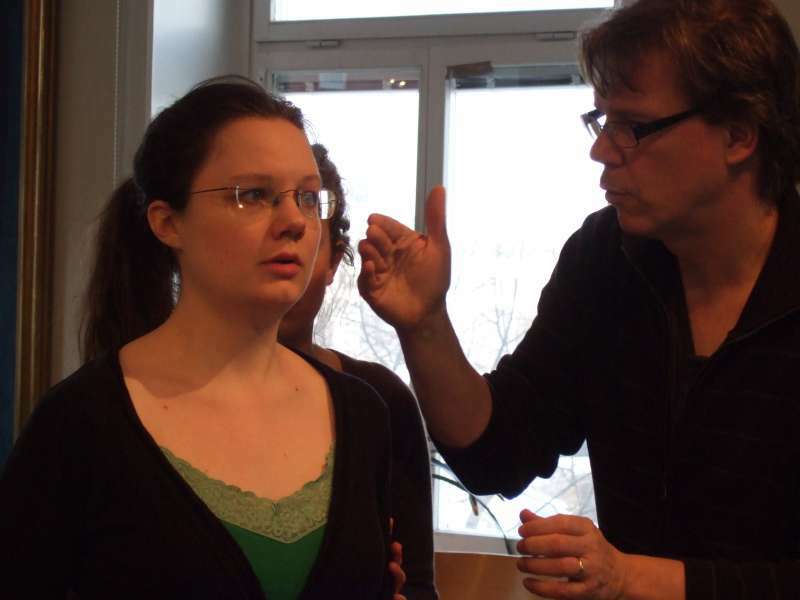 From the fall of 2013 I give singing lessons at the Operahögskolan in Stockholm.